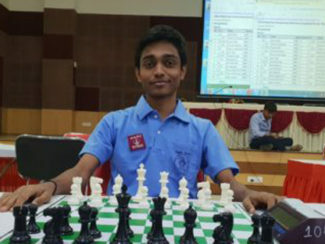 Grandmaster Aravindh Chidambaram Vr. 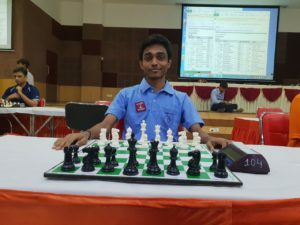 from Chennai district has once again proved himself in National Rapid Chess Championship held at Ahmedabad, Gujarat from 2nd to 4th May, 2018 by gaining Silver medal. 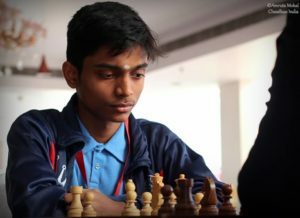 After a tough and nail-biting final round, Aravindh and Lalith tied for the first place with 9.5/11 points respectively. 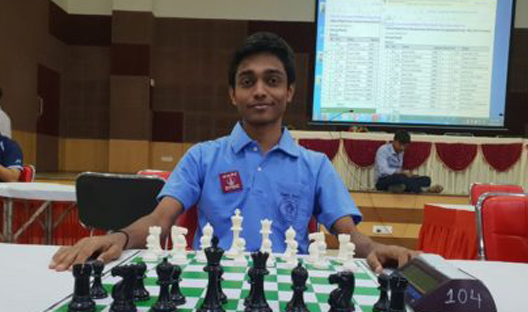 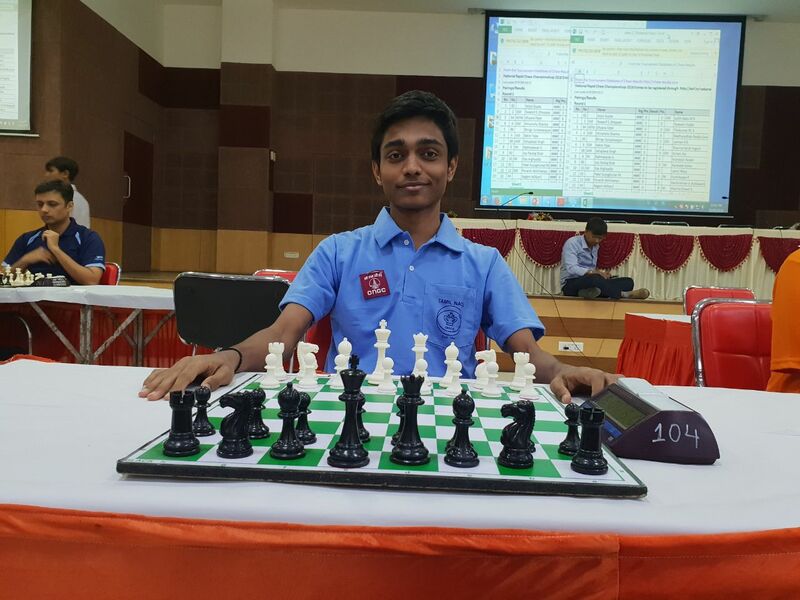 While Lalith emerged as the champion with a better tie-break score, Aravindh secured the second place. Both players exhibited a brilliant show of the game, keeping opponents on their toes with speed and powerful moves.